Governor Mark Dayton and Agriculture Commissioner Dave Frederickson held a press conference Tuesday outlining changes the Minnesota Department of Agriculture (MDA) intends to make to the draft Nitrogen Fertilizer Rule. News from the meeting includes an updated map and updated timeline. The updated map, which you can see here, has been significantly revised with less coverage of areas identified as vulnerable to fall application. For example, northwestern Minnesota was provided a climate exemption due to the low soil temperatures when fall nitrogen would normally be applied in the region. Governor Dayton also announced the next draft of the Nitrogen Rule will not be published until May, followed by a 30-day comment period. MDA will hold public meetings over the summer with the rule expected to be finalized by the end of the year. The press conference was the first news related to the draft Nitrogen Fertilizer Rule since August when the initial comment period on the rule drew more than 800 comments. 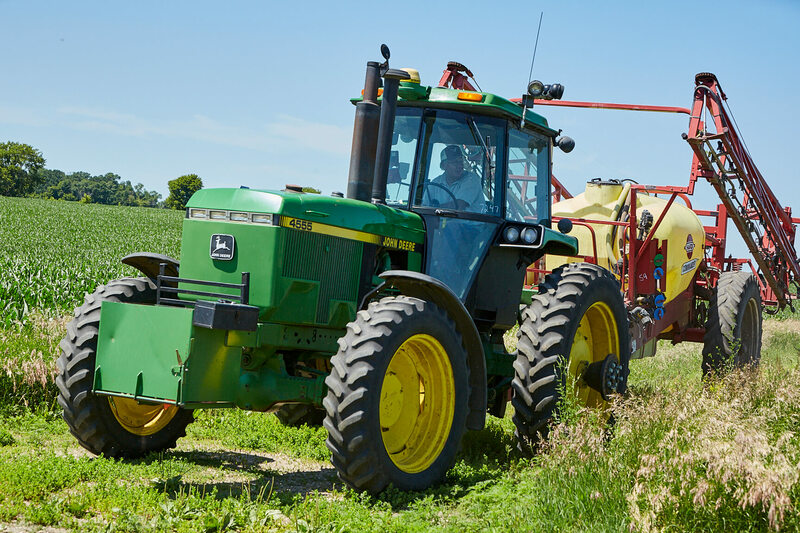 Beyond the release of the map and an update on the timeline, no additional new details were released about the draft Nitrogen Fertilizer Rule. The press conference preceded a hearing with the Senate Ag Finance Committee that afternoon to hear two bills proposing to restrict MDA’s ability to implement the nitrogen fertilizer rule (Bills SF 2449 and SF 2720). At the hearing, there was no action taken on the bills and discussion on each was informational only. MDA was the only testifier and answered questions from committee members based on the information presented at the morning press conference. During their testimony, senators from both parties acknowledged the positive step MDA made to refine the vulnerable groundwater map and listen to input from agriculture. However, committee members still had a number of questions about implementation of the rule. MDA emphasized their intent is for the rule to be flexible while targeting areas of the state that have the greatest risk for nitrate contamination and public drinking areas that already exceed the health standard. Questions from senators focused on understanding the differences in mitigation levels under part two of the rule. There were also questions about previous and planned public input processes on the proposal. Based on questions from committee members, future hearings and discussions on the topic are expected. MCGA and its grower leaders will remain involved throughout the process to ensure concerns from the agriculture community are heard. MCGA will continue advocating for more transparency around additional changes to the rule in response to concerns from farmers. MCGA is also advocating for legislative oversight in this process to ensure the rule effectively protects our state’s drinking water while maintaining productive farm operations. MCGA will also continue sharing the many ways the state’s corn growers are proactively reducing nitrate loss, including through Nitrogen Smart and the Innovation Grant Program. To learn more about the investment by corn farmers to improve nitrogen management practices, click here. For additional updates on this issue be sure to check back on our blog, or follow us on Facebook or Twitter.